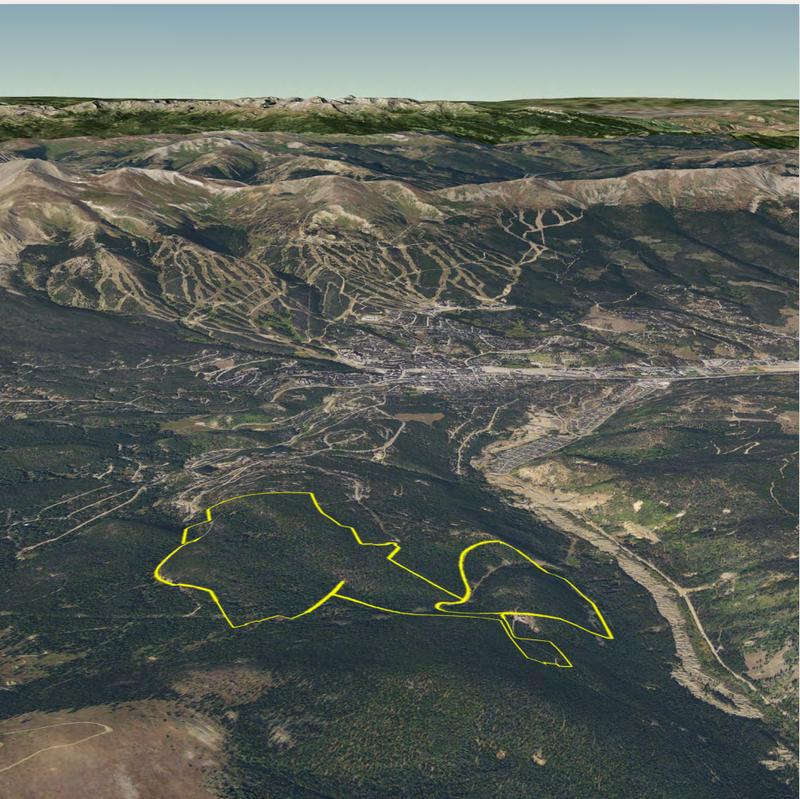 The Ranch at Breckenridge is a premier development of large lots with amazing views of the ski area and surrounding mountains. North Line GIS was contracted to plan the second phase of the development, consisting of 16 building sites on over 200 acres and over 100 acres of open space on a complex site located at around 11,000 feet. 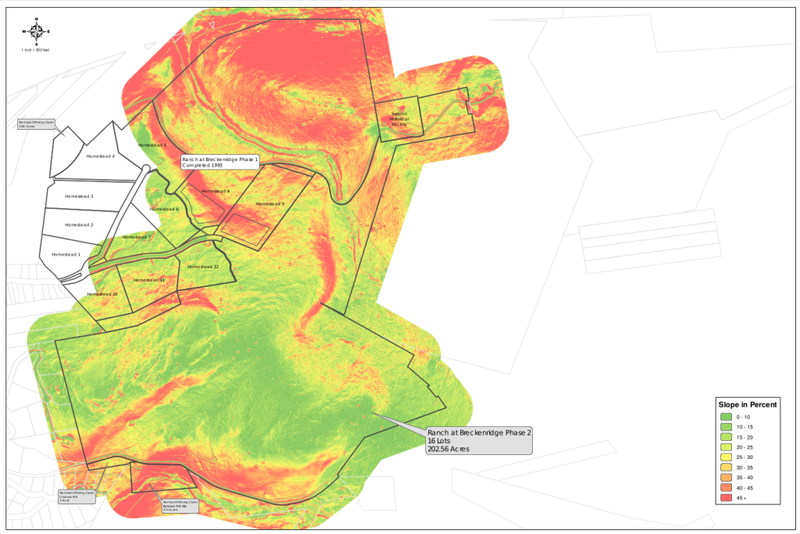 As a part of the 2014 LiDAR consortium the North Line organized, detailed topographical data was collected on the site in addition to 6” pixel imagery. 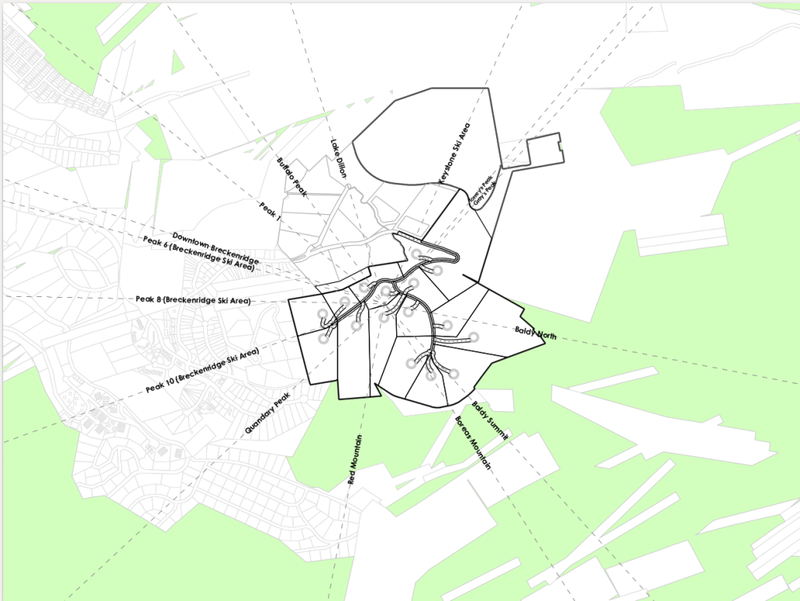 The LiDAR data was converted into detailed slope models and contour information that greatly aided in the planning of building sites and roads. In addition, it allowed for detailed 3D modeling, view analysis, and visualization of the development.